According to NHS estimates, there are between three and six million incontinence sufferers in the U.K., and an estimated 1.4% of people over the age of 40 suffer with significant faecal incontinence. A quarter of older people are affected by incontinence, amongst those living in care environments, the figure is between 30 and 60%. The psychological repercussions of incontinence can be distressing, and many people choose to deal with them by withdrawing from social situations whenever they can. This situation, if left unaddressed, can lead to mental health problems, loneliness, and implications for the sufferer’s personal and professional life. 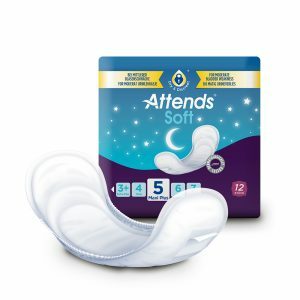 Products that can help include washable and disposable Bed pads, Seat pads, Stretch Pants, There are a vast array of disposable pads, pull ups and slips also available. H&M have a vast range of Personal Hygiene and Incontinence products from ATTENDS to help with those problems both instore and available through our selective range of quality suppliers. Our highly trained friendly team are here to help you choose the right product to meet your needs.